Welcome to The Hills: a restaurant so traditional it hasn't changed in over 100 years - not the menu, not the furnishings, and not even the uniform worn by our narrator, a waiter. This anchors him and provides a map for behavior without thought, even as it renders him comfortably invisible to the regulars. Well-established routines serve him well until a young woman is seated at one of his tables who upends the structure and routine of The Hills, causing the waiter to question the restaurant's sense of history and his own sense of self. Filled with sensory details and existential reflection, you'll be thinking about The Waiter long after the book is finished. Matias Faldbakken is a world-renowned contemporary artist and writer who shows with the Paula Cooper Gallery in New York, and has been hailed as one of the freshest new voices to emerge in Norwegian literature during the past decade. 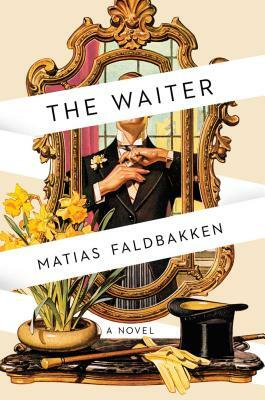 The Waiter is his first novel in nine years and the very first he has written under his own name.